The transition to a low-carbon economy is gathering pace. Ensuring that the transition is fair and equitable for all is essential to securing a sustainable, resilient, low-carbon future. This briefing, and accompanying animation, reviews existing evidence on the risk of adverse impacts of a rapid transition to a low-carbon economy, and discusses how those risks can be minimised. 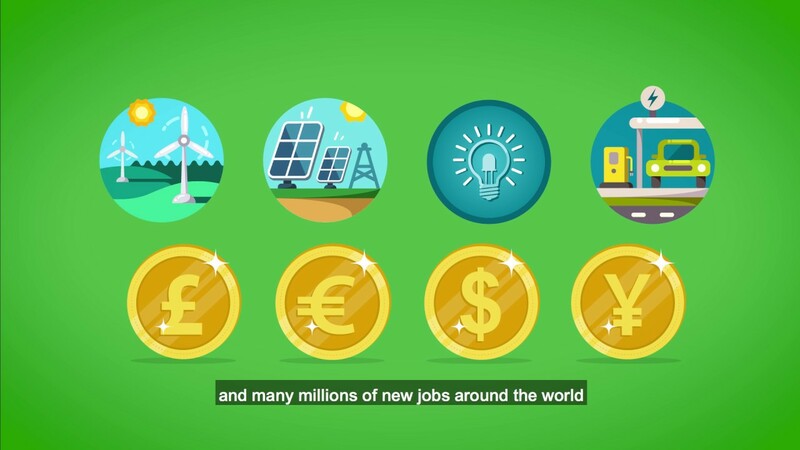 This animation shows how we can ensure the low-carbon energy transition is just and equitable for all. The transition to a low-carbon economy is gathering pace. The Paris Agreement, the plunging cost of renewables, batteries and electric vehicles, and widespread policy action across the globe are all contributing to this acceleration. Whilst this is hugely positive in many respects, it calls into question the degree to which a rapid low-carbon transition may adversely affect certain economic sectors, communities and regions. This study presents a review of existing literature that explores which regions, sectors and groups could be adversely affected, how to minimize such impacts, and what lessons can be learned from past and current transitions. For more from Dr Gambhir, read his blog for Aldersgate Group, What is a "just transition" and why is it critical to getting to a low-carbon future?